A description and a little history of the horses of Six Meadow Farm. The clouds moving across the sky with rain on their heels. Lots of green grass envelopes the farm. Regardless of a gloomy seven-day rain forecast Lauren and I have been smiling a lot around Six Meadow Farm. I think there are several factors. 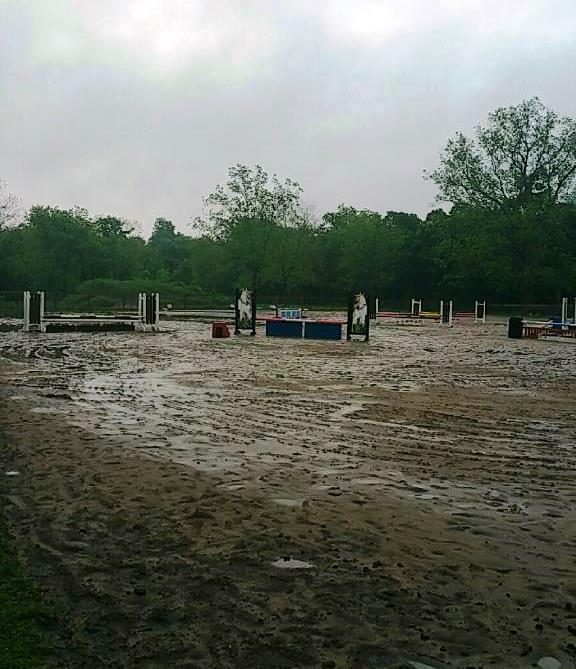 Fortunately while the rain poured down, in fact it did so several times, our arena and the pastures have absorbed it right in and left things pretty manageable. On Friday we went and picked up Kona’s almost five month old half-brother. In keeping with our Hawaiian trend and that of naming them in honor of our departed relatives, we welcomed Maui Jim. 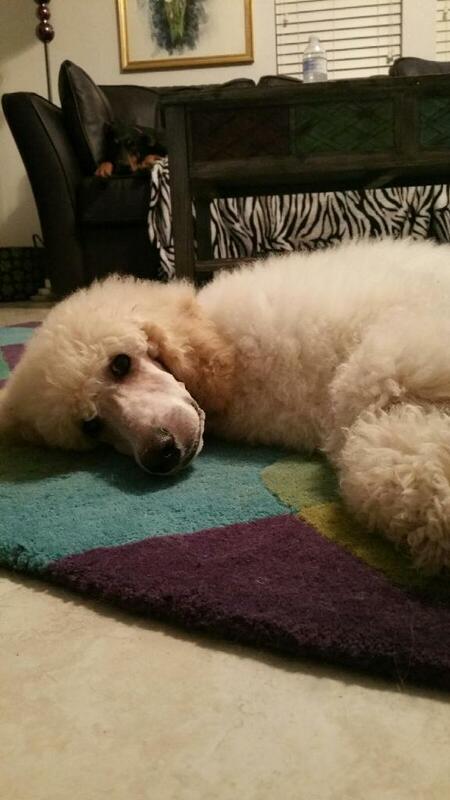 This Poodle is Lauren’s and it will sleep in her room with her two cats. It is a little like my first apartment in Lawrence, KS where I had two cats and cocker spaniel. I am staying out of the training and letting them bond. A puppy is always a good time even if he was more black (mud) than white after his arrival at the farm. Not the best weekend for introducing the white dog. Since the dog is Lauren’s she choose to be home this weekend which is a rare thing. We enjoyed our Saturday evening with Laine and Isabel playing with the dogs and grooming the horses.We watched a little TV while the dogs caught up from their busy day. Levi, the cat, was clearly awake and alert as we took pictures of the sleeping dogs. The mare, Fargo, had her OB/GYN exam in preparation for breeding. This is a huge bucket list item for me (not for the horse to have the exam but to have my own foals at my own farm). I will spare you pictures of the exam. Lauren and I got a lot of projects done between rain showers. We re-matted stalls, spread new shavings and planted new spring flowers. Two ponies are moving out this week and my horse is headed in, so we will move the group around a bit to adjust. 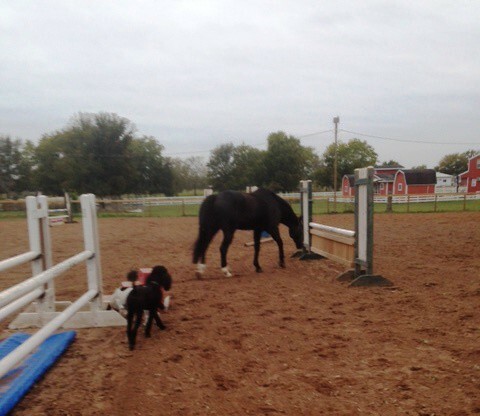 Both horse Kinny and pony Molly got in some arena work yesterday afternoon. Lauren and I decided we better get some horses worked as well. I rode Mickey and she took Feather. We got in about 30 minutes prior to the next onslaught of rain. Feather headed down the still moist but quite rideable rail. My new mare was supposed to be in from Georgia last night but the truck had mechanical problems. She is due in around 10 pm this evening and I cannot wait! Expect a few dozen pictures of the new mare soon! It was just nice to have a quiet weekend without a show or lessons. Lauren and I got have a ‘weekend off’ and enjoyed it a lot. Thanks for riding along and being part of our journey! Mr. Kid and I the last day of his life. Still sound under saddle at 32 years of age. The Time Hop feature on Ally’s phone reminded her that on Friday, it had been exactly one year since I had given my 32 year-old horse, Kid, his last good day and then had him euthanized. 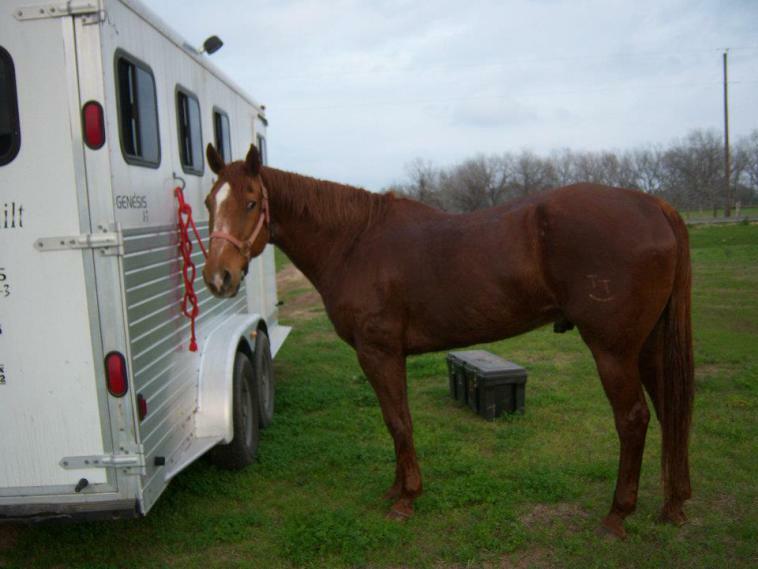 Kid had been my best boy most of these Texas years from 2003 forward when I first talked Sarah into trusting me with her barrel horse that was ready for retirement. 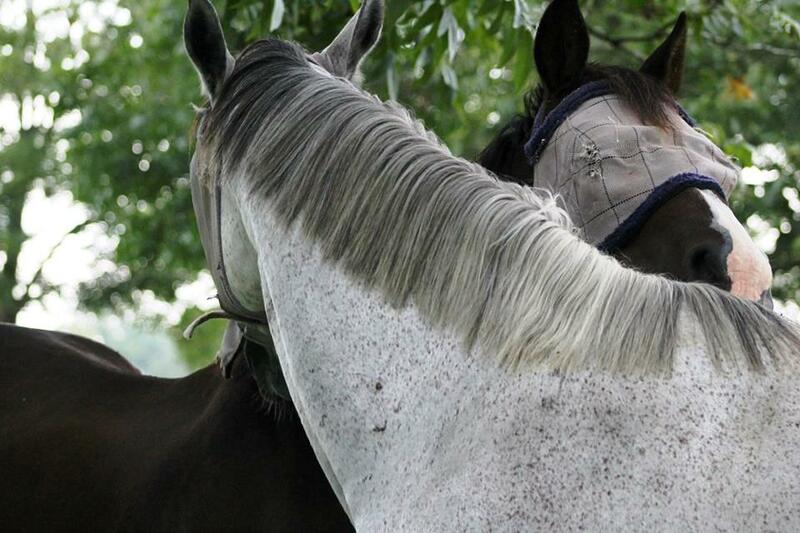 Oh, how I loved that horse and how he changed our lives here. Leading to a new boarding barn where we met life-long friends, where we became part of something good. I was so proud of Kid. He was the absolute picture perfect quarter horse, not the halter-bull-dog type (as my daddy would have said) but the racing quarter horse. Standing almost 15.2 hands and running about 1000 pounds of lean, perfect muscle. 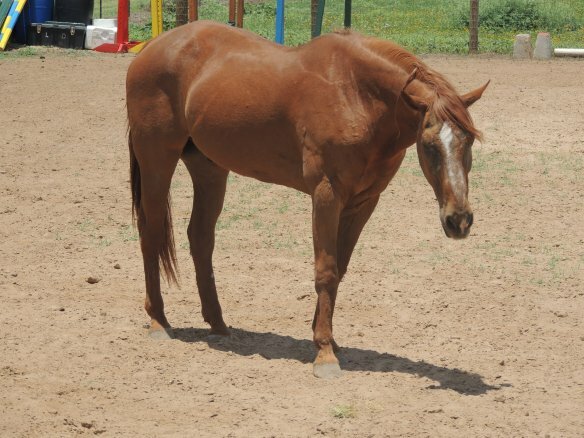 He was the fastest horse running barrels on the Houston non-pro circuit at age 20. That is pretty fast. 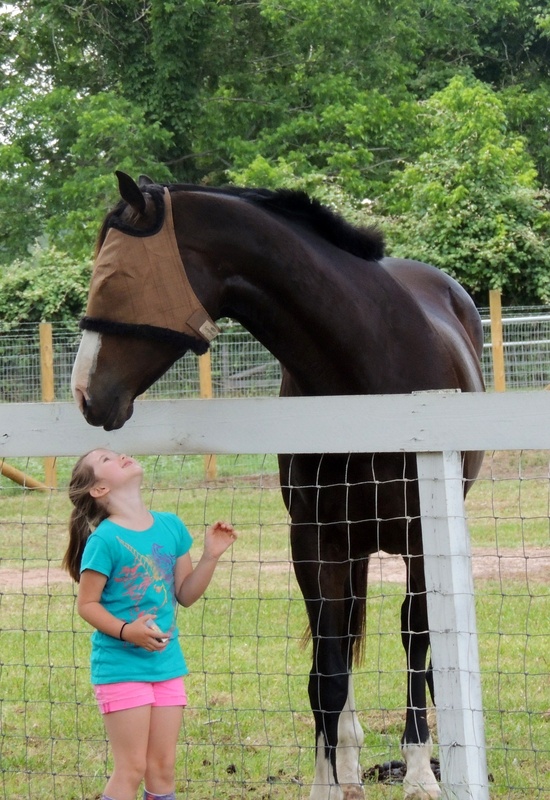 He could also jump, take the kids for a ride or be the best behaved horse in the barn or trailer. But make no mistake about it, he performed best for me and he was all my boy. Lauren never had any success riding him, at least not after she past age 12. I guess he considered her fair game then and he tested her all the time. Since Kid has been gone, I have been on the search for a replacement. I had Bruno back then, but never really rode him much. I got Betty Sue and love her dearly but am not going to be riding her any time soon. I thought the mare Kalani was my ticket back to having my own horse again, but that ended badly (except that she went to a great home). Honestly (and don’t tell anyone), I haven’t really enjoyed riding for at least the last three years. My hips, pelvis and knees hurt so much ten minutes into saddle time, that it wasn’t much fun. In fact, by this last fall, I had essentially quit riding. Then I had my other hip replaced. I couldn’t ride then. But some pretty great things conspired to happen all at once. First, I have ridden four days in a row now, and it doesn’t hurt! I mean it is like a miracle. Second, I found this ad for a mare named Nova who was born on January 19th. Some of you will get this instantly. My favorite aunt and my Godmother was named Nova. Nova is an unusual name and yet this will be my second horse to carry this name. January 19th was my father’s birthday and I don’t have to tell you what that means to me. I was looking for signs and these were good enough for me. 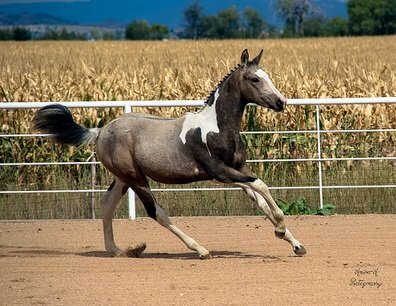 Nova, a paint mare, registered as Investment Art, is a pretty good-looking girl. The other things that were imperative in my next horse, was good training and a quiet nature. 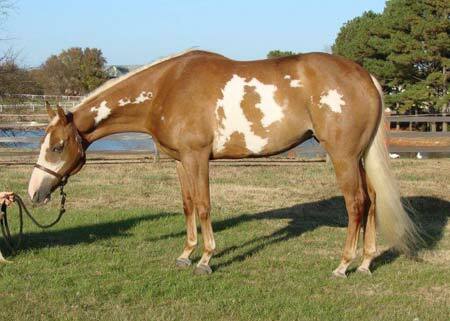 This mare has both in spades. 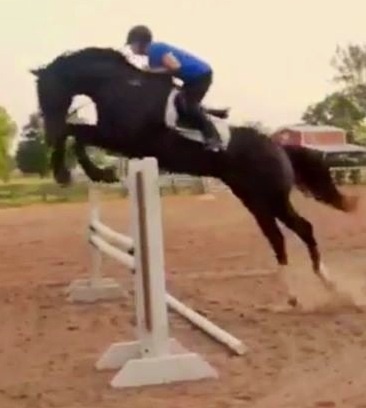 She also stands a solid 16.2 hands, so might be brought along to jump a jump a two. What I did not realize at all until Ally’s phone Time Hopped us, was that I had just negotiated a deal to buy Nova, exactly one year to the day from when Kid took his final steps. We will see what life has in store for me but I am really hoping this mare lives to be the same 32 years old as Kid, and I am able to ride her every step of the way. Happy, blessed Easter day to you all!! I love the flaxen mane and tail! Kona hanging out in the damp arena with Quest. The plan was for Dev to ride new Canadian Warmblood, Quest, on Sunday morning. 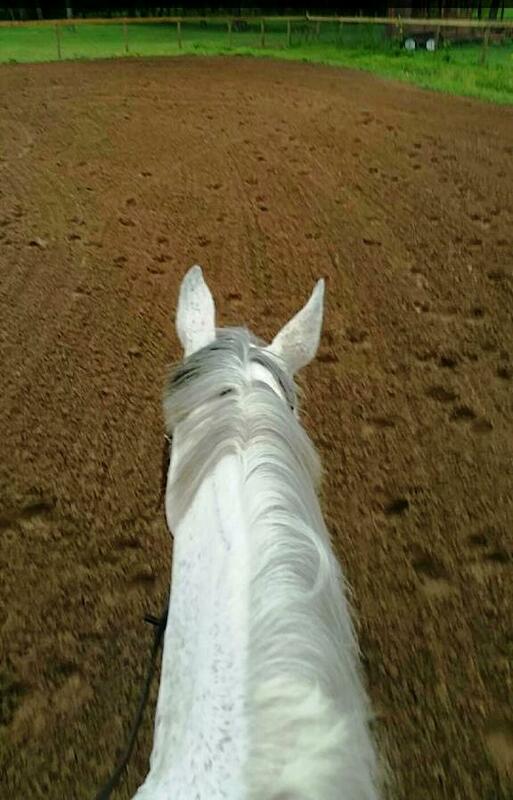 His owner’s plan was to wear down the young horse so Dev did not die on his first ride. So off to the arena the beautiful black gelding went. He ran and played accompanied by the black poodle. The skies may have been dreary and grey but the boys were stunning. My vet had commented that when this horse trots he moves so beautifully that it made the tiny hairs on the back of her neck stand on end. Must be a pretty cosmic experience. I have not seen him go under saddle yet but just his big flowing trot around the arena was something amazing. I lunged the mighty Quest and he got away from me the first go around. 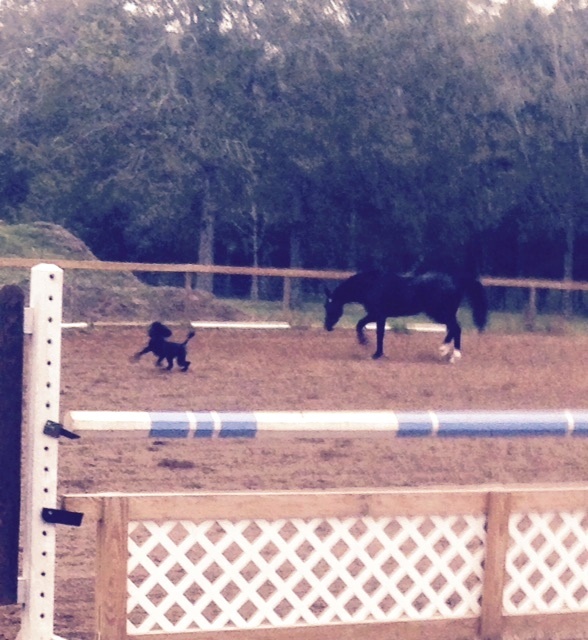 Which lead to some excited galloping around the arena with lunge rope and poodle in tow. All Mia could say (as she sat quietly on Snowboy) was “I wish I had my camera, I wish I had my camera!” I think there is just something amazing about a solid black horse-it is the dreams from our youth with all the Black Stallion books and Black Beauty. And this horse of Jo Ann’s is stunning. Any of you looking for a great eventing or dressage mount, this guy is for sale! Betty Sue wanting to come in out of rain and wet. After the Quest events, my friend Gaylyn came with her new mare Annie. 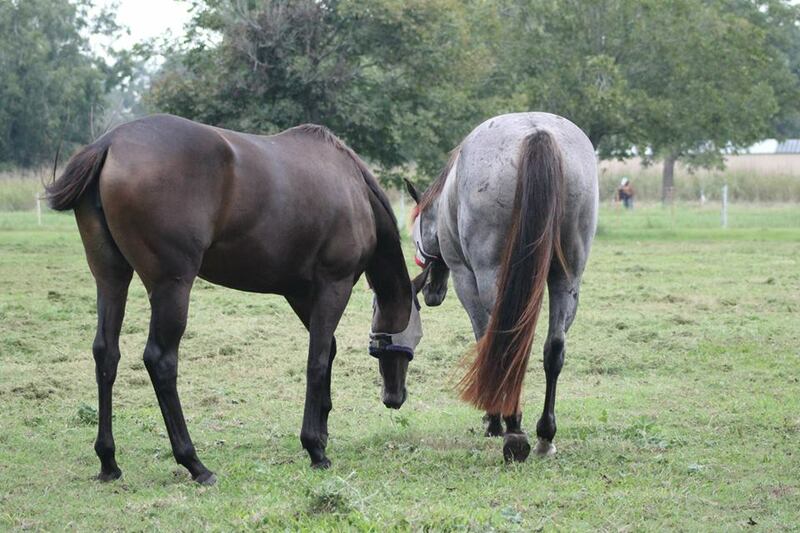 I had seen her when she had first bought her and she has grown and developed into a lovely young sorrel mare. 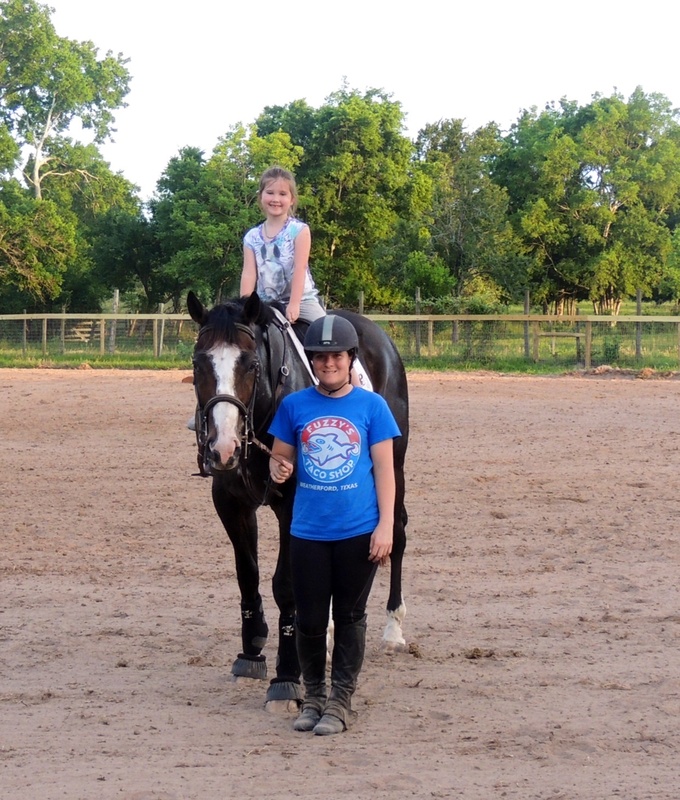 Gaylyn, Libby and I rode our three Quarter horses in the cool afternoon. It was a very nice time full of talk and camaraderie. Soon enough the rain and cold hit us in earnest and we ran for the barn. It rained all night Saturday. Lessons were cancelled. Lauren was out-of-town and I was on my own cleaning for company that will be coming this next weekend and enjoying the new tv that Luke, Ally and Lauren had arranged to have set up in my bedroom. I have not had a tv in my bedroom for at least 15 years. But with my surgery coming soon, it sure will be nice to be able to watch a movie or some mindless show while the hours pass. My favorite part of the cold, wet weekend? 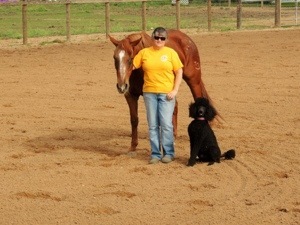 I took all the dogs out to the barn with me to play while I cleaned the now 12 stalls we have occupied. 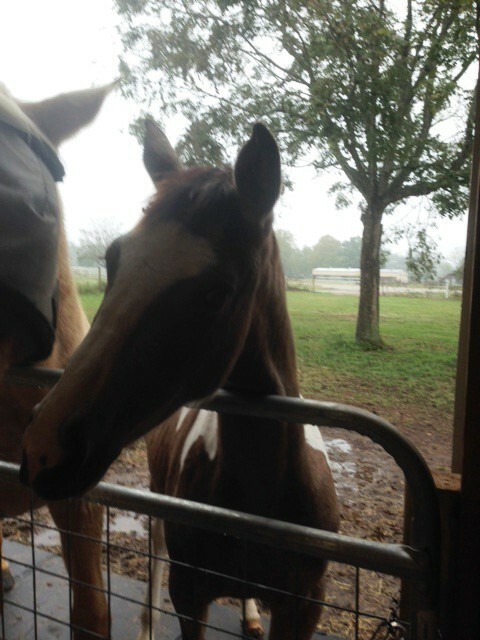 I sent my horses and Cody out in the drizzling rain but left the rest of boarders in the dry, warm barn. I have been cleaning stalls for years. But just recently have we escalated to 12 stalls of horses. Twelve is a lot!! Like seriously, I am too old for this. When it rains, everyone stays in all night and day (and poops and poops!). Saturday morning’s chores wore me out. Sunday I was starting with aching bones and tired shoulders. But I wasn’t in any hurry. I did not have a thing I needed to accomplish or a place I needed to go. I actually hoped the big gate on the driveway would stay closed all day. I worked my way through the boarder barn (called the Blue barn as all the geldings are housed here) and but was really dragging by the time I hit stall number ten in the Pink barn. It was raining. It was cool. I took Feather’s stable blanket and laid it out on the dry concrete in front of her stall. I simply laid down on the concrete and rested my back. As I did, Lula the dachshund, laid down on my stomach, Muffy, the spaniel fit herself around my head. The Doberman and poodle took up guard along each side of me while the Corgi and wild border collie lay at my feet. It was a perfect time. There is no where else I wanted to be. 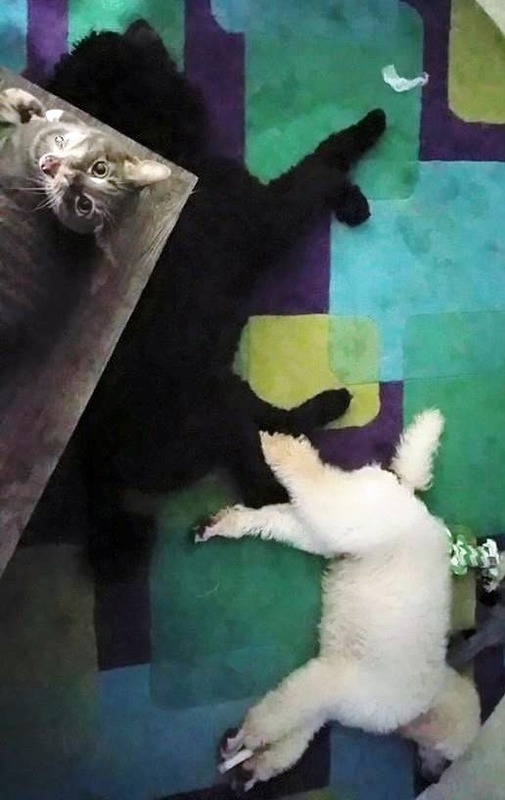 My regret was that I could not figure any way to get a picture of my special friends joining me in rest. I watched the rain fall. I listened to the wind. I ran my hands over my trusting dogs. My back felt better. My attitude improved. I had a great weekend in the wet, damp weather. I couldn’t have asked for more. Photo from the inspection of Special Occasion GES (Betty Sue). It seems that one minute ago it was summer and now we headed into October in a rush. Of course, when you live in the southseason’s don’t come with distinction and often not in sequence. We had a lovely fall like weekend with some low temperatures in the high 50’s. It was amazing. Today it is totally summer again topping out at 91 degrees. It tends to confuse my brain which grew up with distinct seasons, and my childhood memories do not include 90 degrees in October. I headed into Wal-Mart for my weekly shopping. I wandered back to the gardening area to look for a new hose, new cushions for my outdoor furniture (the neighbor’s dog ate those as well as eating Sneaky) and some grass seed. You won’t be surprised to learn it was Christmas time in the garden center, but I was. I stood there lost. For a moment, I was completely confused. You know some of those little stores keep “special” holiday items at all times-but no, it is October and apparently time to think about the holidays. I did find a hose and one bag of grass seed but no way was I finding patio furniture cushions. It may be 90 degrees but Snowmen have replaced lawn furniture here. 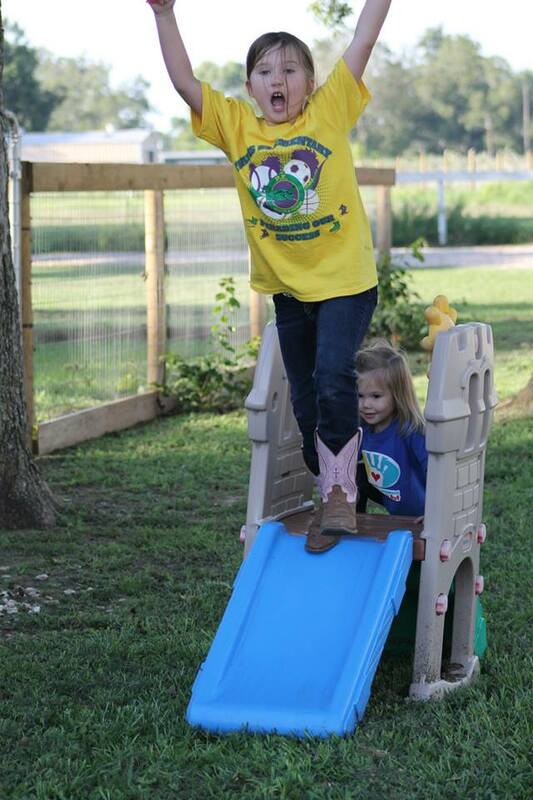 I got the news today that Amber, Ryan and my Colorado grandkids will be coming to Texas for Thanksgiving. We will actually get to spend four whole days together. It will be the first time that Ryan has been back to see our new house and farm. I cannot wait! 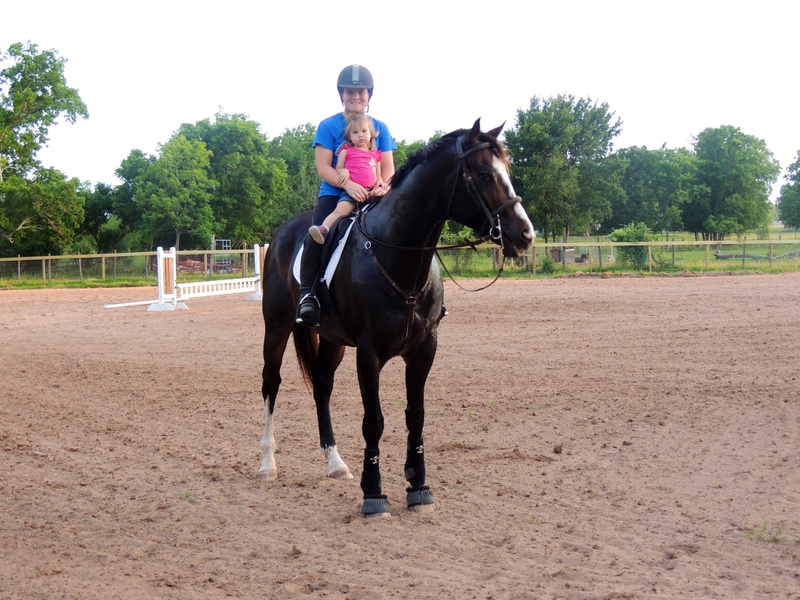 I am happiest when the house is full and the kids are at the barn or riding in the arena. Thanksgiving day itself will include Luke’s family as well-they are pretty much our family, too! My barn is looking like a pretty eclectic group as new ponies have moved in. Now we have three ponies (one Pony of America-Snowboy, one Welsh type-Avery and one quarter pony-Owen) along with one OTTB-TeeDee, one Irish Sport Horse-Feather, one paint-Mickey, two quarter horses-Cody and Kalani and one German warmblood-Prosecco. Betty Sue, hopefully arriving in the next couple weeks, will up the German warmblood count, but still what a conglomeration of horse (and pony) flesh. Maybe one day soon we will get everyone out for a group picture. Lauren and I are both riding again which is nice. She is riding Feather and many of the others. I am getting my old Lauren back. She jumped Mickey around last night and remarked, “he doesn’t scare me any more”. Well, he used to, but with Feather jumping so much higher now, Mickey looks (and feels) tame by comparison. I guess if this whole Feather and Betty Sue jumping thing doesn’t work for Lauren, she can go back and spend several more wonderful years riding Mickey in the Greater Houston shows. Jordyn, also riding Mickey, just trots away in the arena, often on her own for hours at a time (don’t worry, I am keeping my eyes on her at all times). I suspect a canter is coming soon. I am happy to see her confident and thrilled to be riding. She and Kendyll come to visit several days a week. Two year old, Kendyll, wakes up asking her momma if they are going to granny’s to clean poopoo today. Wow, the key to your grandchild’s heart, horses (and their excretions). 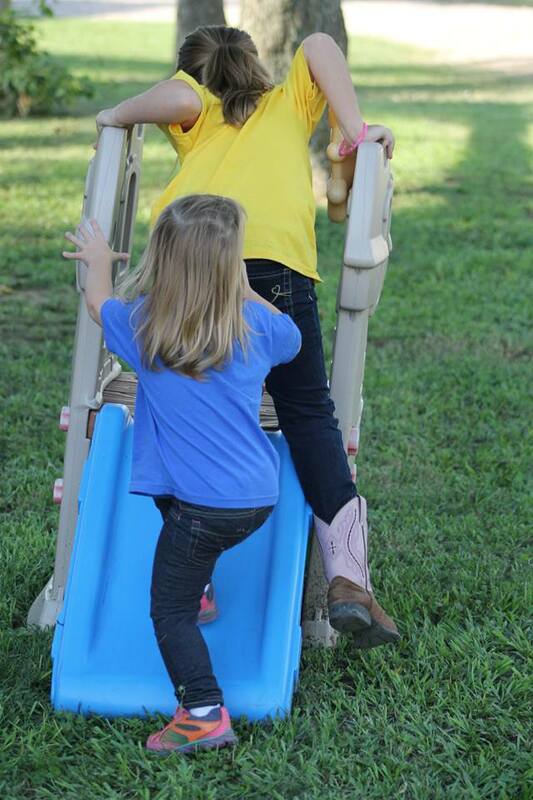 Jordyn showing Kendyll how to jump off the slide. No Fear Kendyll doing exactly what her sister says. And they scramble back up! The horses have been enjoying long days in the pasture and my boarders are all pretty good amateur photographers. 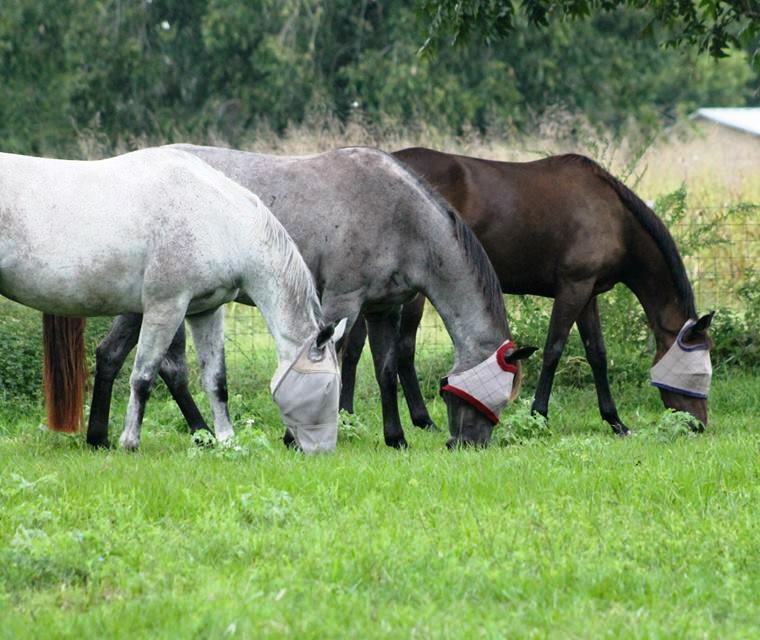 The horses all have fly masks on to keep pesky bugs away from their eyes. These pictures are by Mia Kuchner. 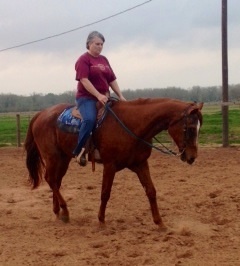 OTTB TeeDee out for a stroll with QH Kalani-gotta love those quarter horse butts! Signing off for today-thanks for riding along. The end-Feather, Kalani and TeeDee. Is Kalani the tallest? 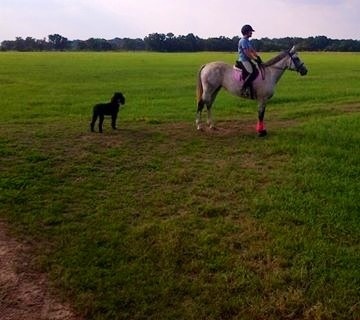 Lauren, Kona and Feather riding the endless meadows of Wharton. We named our little six acre farm in Wharton, Six Meadow Farm. At the time we had six horses, five of our own and one boarder. We had six dogs and we looked out upon our six acres of land as it blended into the acres and acres of farm land beyond us. At new Six Meadow Farm, we actually own five acres, but are leasing three more. The pastures are park like with giant Pecan trees shading our days. The catch pen is actually Bermuda grass and I am working to get looking like the finest hole of a golf course. The flowers we planted just 60 days ago are maturing. There is none of the feel of open land that we had at our last SMF. But it is magical to me as the pastures roll like rivers amongst the trees, from the top pasture to the very bottom, where when it is wet, a little creek flows. Also, it is common now to see deer in the cool of the shaded evening in the protected bottom pasture. This new place is infinitely more work. Maybe because of the boarders, the leasers or Dev bringing his lesson folks here it is like we never stop working. Plus our tremendous contractors have yet to finish all the work we have asked them to do, probably because, each day we have a new brilliant idea. 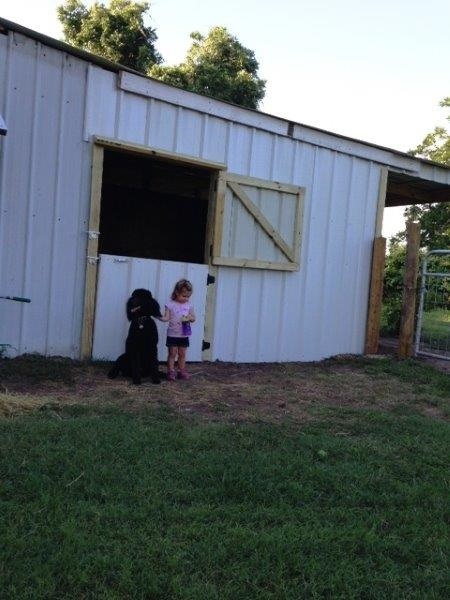 Kona and Kendyll in front of the newly made feed room door. This new side of the barn (we have fit more into a 1550 sq. foot barn than I thought possible) will include two new stalls. One for Mickey and one for Betty Sue when she arrives. They will have their own entrance with a cool Eastern exposure. That should be finished this week. We had a show yesterday in Katy. Lauren’s division didn’t make so she rode against the girls in the division below hers. Remember this is a timed event. Lauren had to jump the same courses as the girls before her only jump six inches higher. I would call that a little bit of a handicap. But Feather was on and they attacked the courses. They earned two second place ribbons with times just a fraction off the winning horse, but oh, yea, she had to jump higher. My friend and vet, Lynn Criner was there. 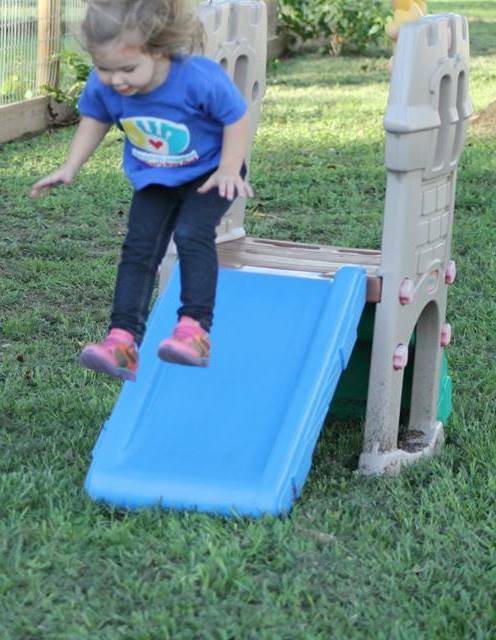 She hadn’t seen the Flag horse jump before. By the end of the evening we had settled on a mare to breed Flagmount to. So, we will have a baby next year. How exciting! 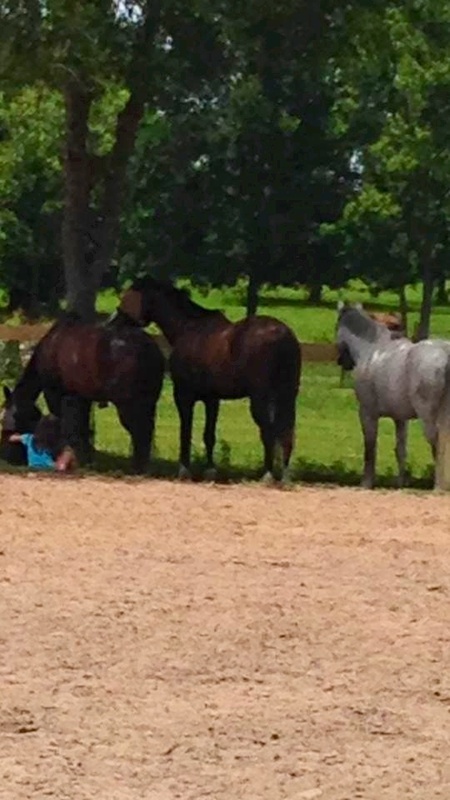 Jordyn and Kona sharing the shade with Feather and the boys. Although it was Father’s Day, Luke was shredding pastures most of the day. Ally weed eated and mowed the people places. Lauren and I readied the new stalls and re-did the existing ones with an entire pallet of shavings. I mowed (with the old push mower) around flowers, troughs and construction spots. I am feeling it deeply in my hip. I won’t be able to hold off this hip replacement much longer. It has been ten years since the first one was done, and both needed surgery then. Maybe over the holidays! Huh, maybe. Jordyn and Kendyll had good rides on Mickey. 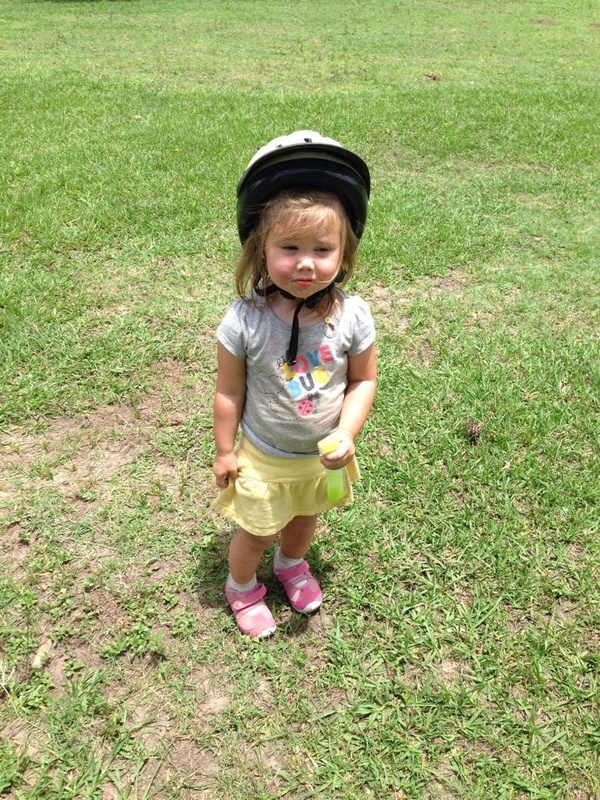 Jordyn trotted away and Kendyll refused to take off her helmet the rest of the day. 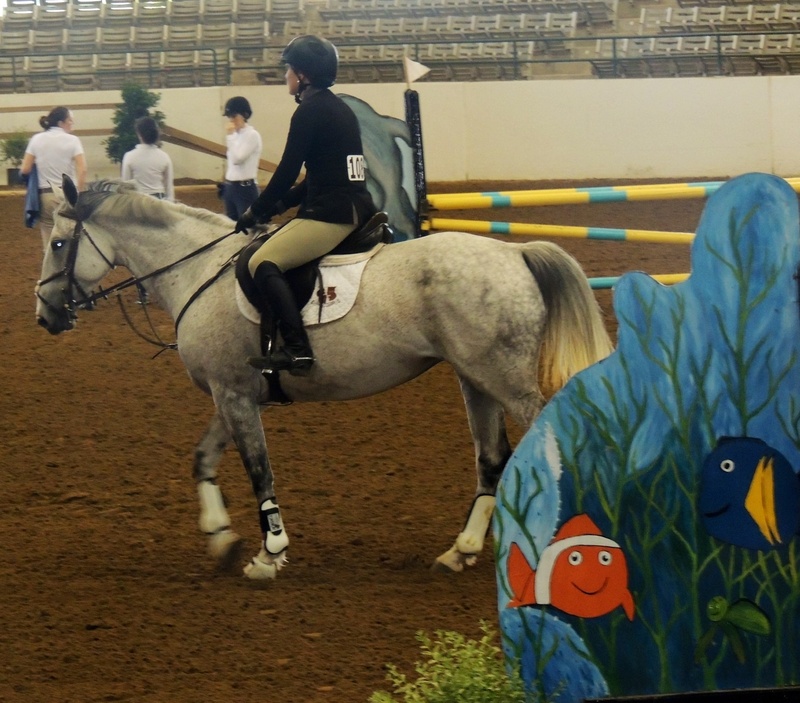 Feather entered the arena with its fish jumps, spectators and riders and calmly waited for the start bell. It was a busy time. Lauren and Feather had headed to the show on Wednesday. I had been keeping up with things at home and at work additionally, about three things are still left to be done on every project from garage to barn, so dealing with and directing the contractors is a daily duty. And somehow, patio furniture and barn paraphernalia keeps showing up in assorted UPS, FEDEX or some other truck with initials. I must be ordering things in my sleep at this point because I don’t even remember the specific items. Lauren and Feather earned four ribbons over the course of the show. In the 1.05 meter class, they earned three third places, a very admirable start to the spring season and their first attempt at these higher jumps. I visited my mom a couple of times, only to find her asleep and unwakeable. Today, while the grown ups worked on chores, I stole Kendyll and Jordyn to go wish momma a happy Mother’s Day. Once again she was sound asleep. The kids made plenty of noise (like seriously) but she never woke up. Still I am glad we went. Luke and Ally came by and gave me a terrific gift of helping put together some of that continually appearing patio furniture, mowing the grass and helping Lauren organize the new tack room. It looks like we are getting a couple of boarders so we will need to share our space. Dr. Criner is coming in the morning to review Bruno ‘s progress. She will want to see Bruno ridden. Even through Lauren was on the verge of exhaustion, she saddled up one more time to give Bruno a ride so he would be easier to handle in the morning when the vet gets here. It was his first ride at new Six Meadow Farm and his first ride in over 90 days. Lauren had been hurt and Bruno has been on the back burner. Lauren popped Bru over a few jumps . He was jumping and moving well. A 3’3″ jump had been set for Feather. We decided to let Bruno give it a go. The jump standards are five foot and he is quite unsure what to do with his back feet but it was pretty awesome to see him clear a three-foot jump with lots of air. Maybe we have a couple of horses that can jump. Kendyll and Jordyn got in on the Bruno rides too! Jordyn wasn’t about to miss a ride on the big horse either! 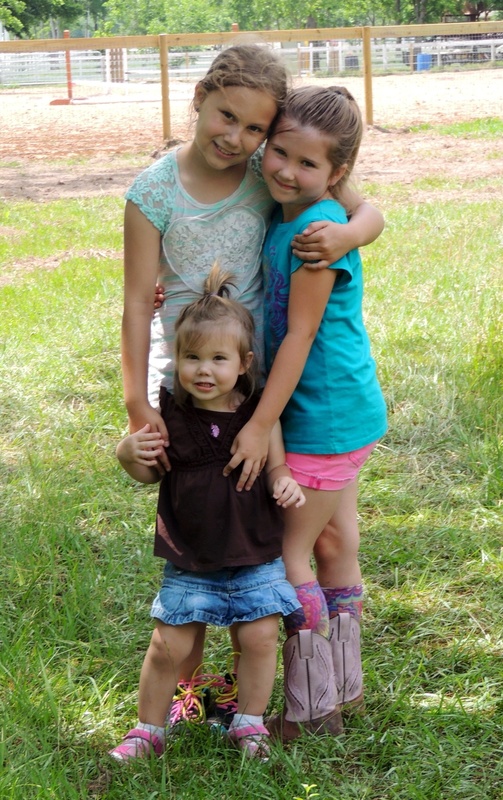 The grand girls brought their cousin over Saturday and I caught a great photo down in the pasture. A last ride, a last time. Decisions about life and death do not come easily. My horse Kid turned 32 this year. A lot about him is good. He is sound. He eats well But a lot is not. His eyesight has failed to the point he has difficulty finding his way around. 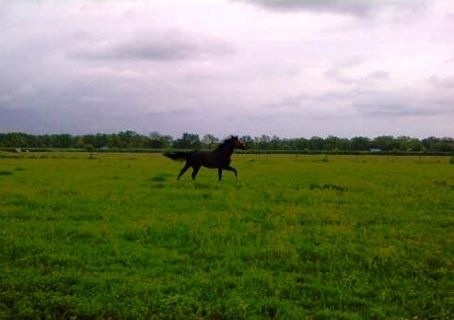 A new pasture is an impossible voyage for him. He has had some small strokes or neurological issues that cause him to constantly bob his head like one of those dolls that used to go on your dashboard of the car. He is scared as the other horses pick on him and he cannot see them coming. I have owned this off-the-track Quarter horse for almost 12 wonderful years buying him from Sarah Petty when she retired him as a champion 1D barrel horse at age 20. 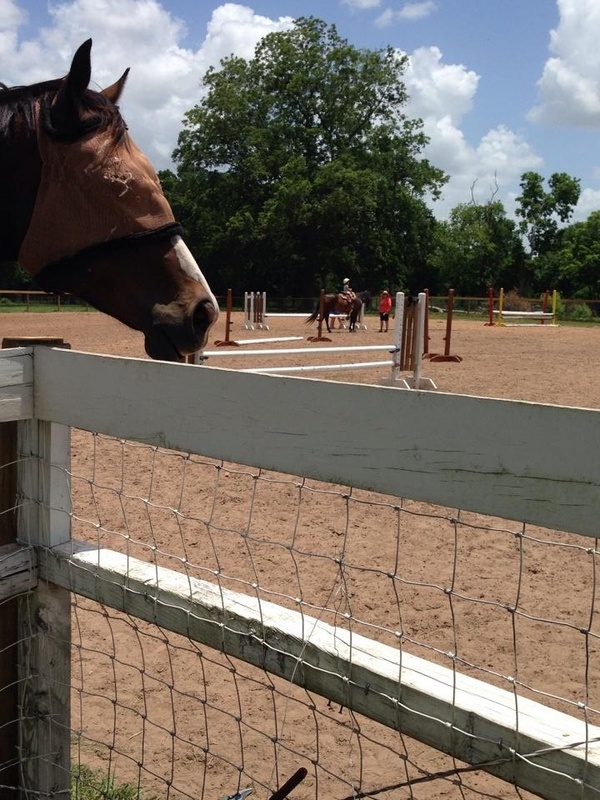 We had left our horses in Florida and he was our first Texas horse. Sarah called him Texas Twister, an apt name for a barrel racing king. I credited Kid, and then Mickey (also from Sarah) with putting my little family of Ally, Lauren and I back on the track to life after a rough divorce and move from Florida. Kid was Ally’s horse in the beginning. She rode him well and often. I went each day with her and Lauren to the barn where we were just had partial board to clean his stall, water and feed him. We met new families. We joined the world again and had a place to belong. Kid was the perfect quarter horse. 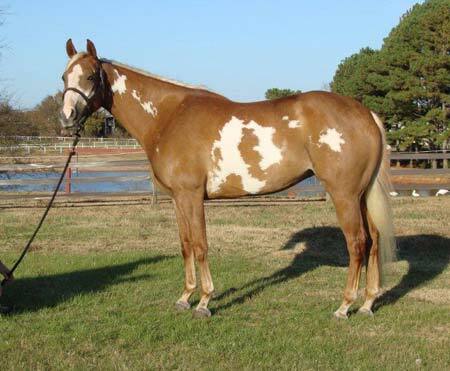 If you go to the AQHA site, their representation of a Quarter horse looks exactly like Kid. His sorrel coat sang in the sun. And as the versatile breed proclaims, there really wasn’t anything this horse couldn’t do. He blazed on the racetrack. He went to National Team Penning finals, he could smoke a barrel pattern and when I asked him to be a jumper and an English horse he did that as well. I had made the decision that it was time to let Kid go. I especially did not want to try to move Kid to a new barn and pasture. With his limited eyesight and all the pastures, it was not fair to him to move him from his home. I tried to give him the best last day, full of treats, a good bath, extra Senior, and finally I saddled him up for one last ride. He tacked up like a champ. We simply walked around the arena and turned around a few barrels. I stopped him in the middle of the arena and gently said, “back”. Immediately, with my hands quiet and still, Kid backed several steps. What a guy! This afternoon we took him to the vet. Of course, he loaded into the trailer without issue. We got him settled in a stall. I hugged and hugged him. Lauren and I cried. I hope he is now running in the green fields of heaven. I will miss my beautiful boy so much. Mr. Kid 32 years young.